Professional Hot Stone Massage Heaters - Stone Heaters (with adjustable thermostat). We sell the world's most compact, full-body Hot Stone Heater - made in AUSTRALIA and exclusive to Hahana Stone Massage! Hahana Stone Massage recommends the use of professional, purpose built Stone Heaters. As seen in the Hahana Practical Training DVD - beautiful contoured design for maximum Spa integration! 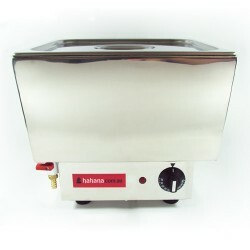 The Hahana Hot Stone Heater has the smallest "foot-print" of all full-body Hot Stone Heaters available - worldwide! Wondering why we don't stock Digital Stone Heaters? Click here to find out..
Australia's leading Hot Stone Massage supplier for over 13 years!  Founded in early 2004, Hahana Stone Massage has quickly become Australia's leading supplier of Hot Stone Massage (Stone Therapy) products to the Spa, Beauty and Massage industries. Commitment to supplying high quality, competitively priced Stone Therapy products and training is our mission at Hahana Stone Massage. Learn a full-body, 90-minute, Hot Stone Massage based on flowing, Hawaiian Lomi-Lomi techniques. Copyright © 2017, Hahana Stone Massage, All Rights Reserved.